Should You Delete the Hiberfil.sys File in Windows 10? If you’ve scanned your computer for large files Need A Disk Cleanup? Visualize What Takes Up Space On Your Windows PC Need A Disk Cleanup? Visualize What Takes Up Space On Your Windows PC Oh the pressure when you run out of disk space. What to delete? The fastest way to locate junk files is to use a tool that helps you visualize your system's file structure. Read More , you’ve almost certainly come across hiberfil.sys. This Windows file is responsible for handling computer hibernation, but what is hibernation even for? Do you need this file, or should you delete hiberfil.sys to save space 7 Windows Files and Folders You Can Delete to Free Up Space 7 Windows Files and Folders You Can Delete to Free Up Space Want to clear some space on your Windows computer? Take a look at these Windows files and folders you can safely delete. Read More ? We’ll answer these questions and more as we explore hibernation in Windows 10. Hibernation is one of several power options in Windows 10. Shutting down, of course, completely closes out of Windows and makes it safe to unplug your machine. Sleep and hibernation Sleep Mode vs. Hibernate Mode: Which Power-Saving Mode Should You Use? Sleep Mode vs. Hibernate Mode: Which Power-Saving Mode Should You Use? What exactly does Sleep mode do? How is it different from Hibernate mode, which is an extra option on Windows computers? Which should you choose, and are there downsides to using them? Read More are the other major two choices. Sleep mode saves your current session to RAM and puts Windows in a low-power state. When you’re ready to resume, you can jump back into action almost instantly right where you left off. This mode is best when you’re taking a short break from using your PC. Hibernation goes one step further. Instead of storing your session in RAM (which will be lost if your battery dies Everything You Need to Know About RAM & Memory Management Everything You Need to Know About RAM & Memory Management RAM is your computer's short term memory. Hence, memory management has a significant impact on system performance. Here we explain how RAM works and whether you can do anything to increase its efficiency. Read More ), hibernation saves it to your hard drive temporarily and then shuts down. With hibernation, you could unplug your desktop for a week, plug it back in, and then resume right where you left off. Hibernation is a good choice if you don’t plan on using your computer for a long time or need to save your session without worrying about your machine’s battery dying. 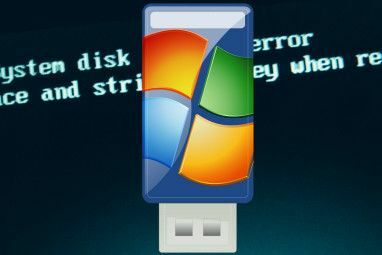 It’s a good option for laptops, as you can save your state and ensure that it won’t randomly wake up How To Stop Your Windows Computer From Randomly Waking Up How To Stop Your Windows Computer From Randomly Waking Up Computers can have restless nights, too. Sometimes, they turn on for no apparent reason and eventually go back to sleep. Making your computer sleep through the night isn't hard and we show you how. Read More in your bag or something. But I Don’t Have the Option to Hibernate! For some reason, Microsoft removed the Hibernate option from the power menu in Windows 10 How to Use Your Windows 10 Power Button How to Use Your Windows 10 Power Button You can shut down Windows using the physical button on your computer or the commands on the Start Menu. We explain what these options do and how to tweak them. Read More . Because of this, you might not have ever used it and understood what it can do. Thankfully, it’s easy to re-enable. To do so, open Settings and navigate to System > Power & sleep. Under Related settings, click Additional power settings to open the Power menu of the Control Panel. On the left sidebar, you’ll see a link that says Choose what the power buttons do — click it. On the resulting menu, click the Change settings that are currently unavailable text so you can make changes. Then check the Hibernate box to enable it on the power menu. 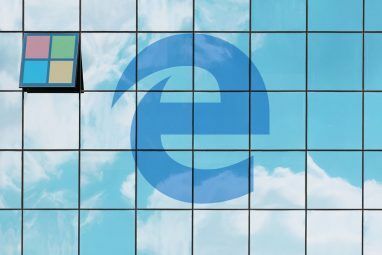 You can uncheck other options here if you like, but there’s no reason to — unless Fast Startup is causing problems 6 Tips to Fix Slow Boot Times in Windows 10 6 Tips to Fix Slow Boot Times in Windows 10 If your Windows 10 boot time is slow, you aren't alone. We've compiled the most common solutions to help you fix this issue fast. Read More . Windows uses the hiberfil.sys file to store your session during hibernation. All the programs and files you have open when you enter hibernation have to go somewhere, of course. Depending on how much RAM you have How Much RAM Do You Really Need? How Much RAM Do You Really Need? RAM is like short term memory. The more you multitask, the more you need. Find out how much your computer has, how to get the most out of it, or how to get more. Read More , this could be 10GB or more. If you never use hibernation, you can disable the feature and reclaim that disk space. Right-click on the Start Button and select Command Prompt (Admin). If you’re not sure everything worked correctly, you can verify the hibernation file is gone by looking for it at the root of your C: drive. C:\hiberfil.sys is its location. Show hidden files, folders, and drives: Enable this. Hide protected operating system files (Recommended): Make sure this box is not checked. Should You Disable Hibernation, Though? While it’s easy enough to remove the hibernation file, whether you should or not is another question. Really, the only reason to disable hibernation and delete hiberfil.sys is to save disk space. If you have a small SSD 5 Things You Should Consider When Buying An SSD 5 Things You Should Consider When Buying An SSD The world of home computing is moving towards solid state drives for storage. Should you buy one? Read More with only a few gigabytes free, disabling hibernation makes sense if you never use it. 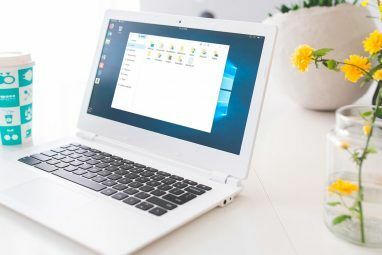 You can try plenty of other methods to free up space 6 Tips to Free Up Disk Space in Windows 10 6 Tips to Free Up Disk Space in Windows 10 Even a terabyte of storage space is quickly filled with media files. Here we'll show you how to easily free up gigabytes of disk space in Windows 10 by removing redundant system files. Read More before getting rid of hibernation, though. And with larger drives (500GB or more), using 1-5 percent of your disk space for a useful feature isn’t a big deal. Must disable hibernation to delete this file. Unless you leave your PC on all the time Pros and Cons of Leaving Your Computer Turned On All the Time Pros and Cons of Leaving Your Computer Turned On All the Time It has been one of the most long-running discussions in computing: is it better to leave your PC turned on when you're not using it, or should you always turn it off? Read More , you should give hibernation a try to see if it works for you before disabling it. There’s no need to close all your programs and shut down at the end of the day when you’re going to open those same apps up the next morning. Hibernation won’t use any extra electricity How Much Energy Does Your PC Use? (And 8 Ways to Cut It Down) How Much Energy Does Your PC Use? (And 8 Ways to Cut It Down) You might be surprised to find out how much energy your PC actually uses. Here's how to find out and what you can do to lower it. Read More , and your PC will boot faster than if you had shut it down. You should also know that if you disable hibernation, the Fast Startup feature won’t work. This feature is supposed to help your computer boot faster How to Speed Up Windows 10 From Boot to Shut Down How to Speed Up Windows 10 From Boot to Shut Down Registry tweaks and ominous cleaners rarely fix a slow computer. We have compiled a list of tried-and-true methods that will give your Windows 10 computer an instant performance boost. Read More by loading some Windows components before you start up. It saves you a few seconds, but it’s also known to cause problems. 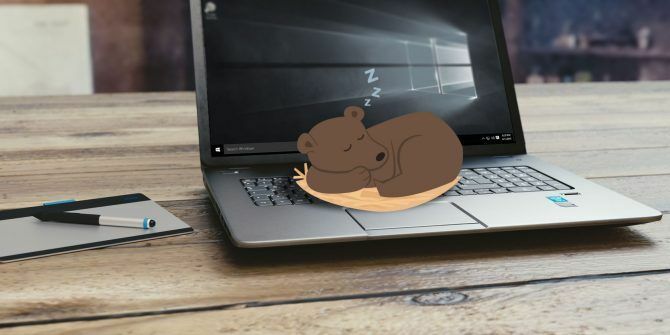 Now you know all about Windows hibernation, how to disable it, and whether it’s a good idea to do so. For most people, we recommend giving hibernation a try and seeing if it saves you some time. If you end up never using it and need the extra disk space, go ahead and disable it, as Fast Startup doesn’t provide a massive benefit anyway. While it’s safe to remove the hibernation file, you should also know about default Windows files you should never touch 5 Default Windows Files and Folders You Should Never Touch 5 Default Windows Files and Folders You Should Never Touch Windows contains countless default files and folders, many of which the average user shouldn't touch. Here are five folders you should leave alone to avoid damaging your system. Read More . Do you ever use hibernation on your laptop or desktop? Will you try the hibernation feature or disable it to save some space? Share your thoughts down in the comments! Explore more about: Computer Maintenance, Windows 10. 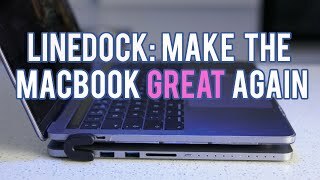 Another reason to get rid of that ridiculous file(in 2017) AND to turn off " OS sleeping", "drive parking", and "monitor sleeping" in general, is that intermittent or even scheduled tasks can cause issues like audio pops and crackles in audio software and a variety of visual issues in video/multimedia apps. It's VERY clear to me that software developers need to wake up to the fact that hardware is MUCH more powerful and robust these days than it used to be. The speed and storage space of drives and RAM, and the speed of CPU's, GPU's, and graphics cards, are in another universe from just 10 years ago. instead of actually Powering it Off,, is quite deceptive, really.